Following trials conducted for the Space Surveillance for Epidemics (S2E) Argos project, 44 Argos transmitters have been deployed at dispensaries throughout Niger. The objective is to collect medical data from patients attending remote field dispensaries. One year after the start of the project’s operational phase, it’s time for a status check. 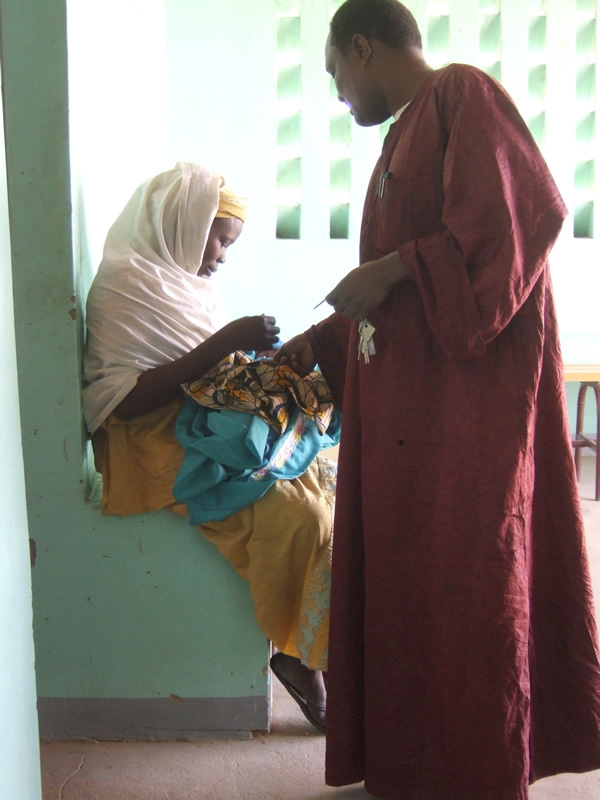 With no electricity, telephone or radio in certain field dispensaries, communicating medical information in Niger was previously a somewhat erratic process. A special terminal was therefore designed to ensure rapid, autonomous and reliable data transmission. The terminal unit, comprising a keyboard for data entry, a screen and a high-capacity battery, is capable of withstanding harsh environmental conditions (heat, dust, etc.) and is tamper-proof. With this unit, nurses can now transmit data securely to CERMES, Niger’s medical and health research centre, under 2 hours after it is entered. Three types of data are collected: weekly reports to keep track of important pathologies, alerts and messages. The S2E Argos project, supported at the outset by the S2E consortium1, initially deployed 4 transmitters in Niger and 10 in Burkina Faso. CNES oversaw technical coordination of trials (2003-2005) and provided assistance during the transition to the operational phase. CERMES and IRSS², the health sciences research institute, were tasked with setting the project up locally and performing monitoring operations. 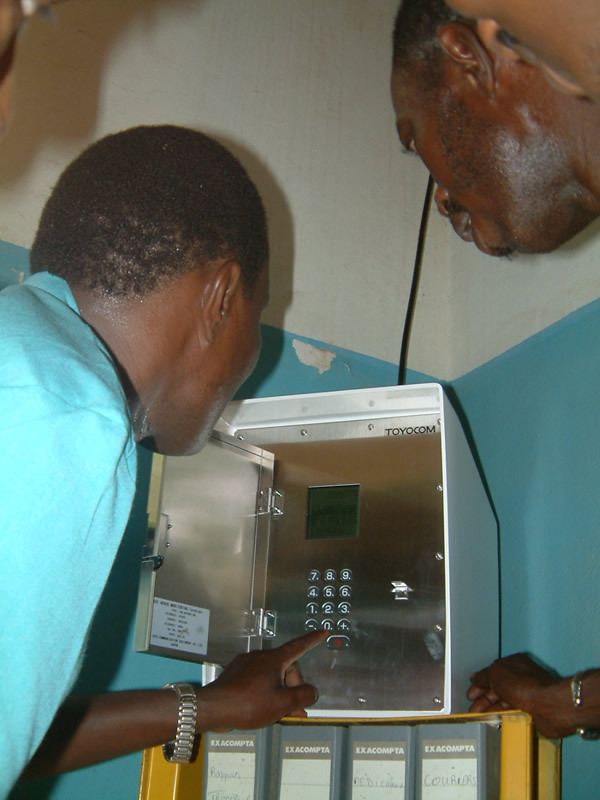 40 additional transmitters were installed in Niger with funding from the Global Fund. The transmitter network is a unique tool at this scale. “In Niger, it really is the system best suited to field requirements,” affirms Isabelle Jeanne, who is now turning her attention to securing the system’s long-term future. The main question is whether to increase the number of transmitters in Niger or extend the system to other African nations.